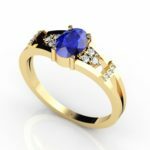 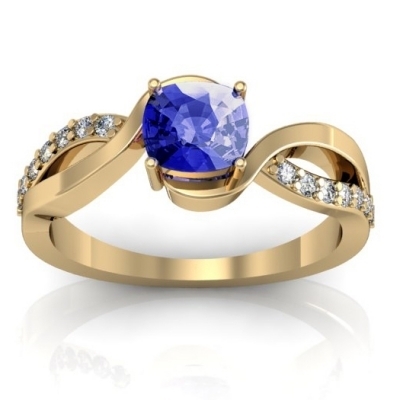 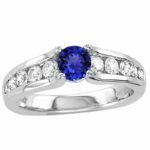 A gorgeous dazzling ring consisting of a round tanzanite of around 0.50 carats encrusted with 42 round diamonds of 0.42 carats etched on the band looks artistic. 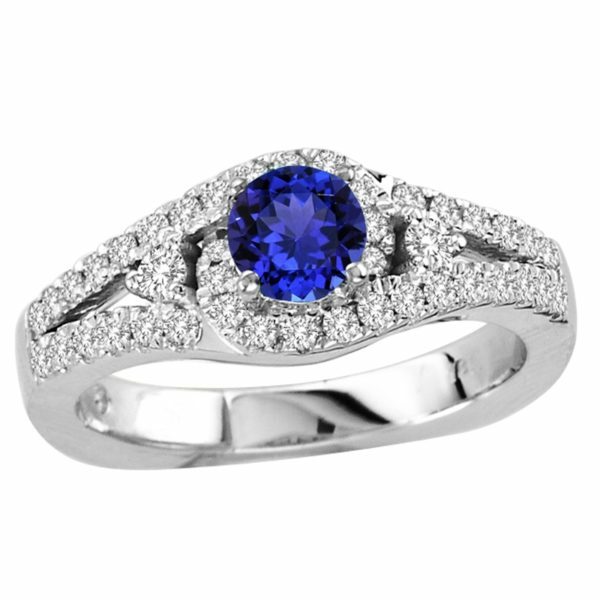 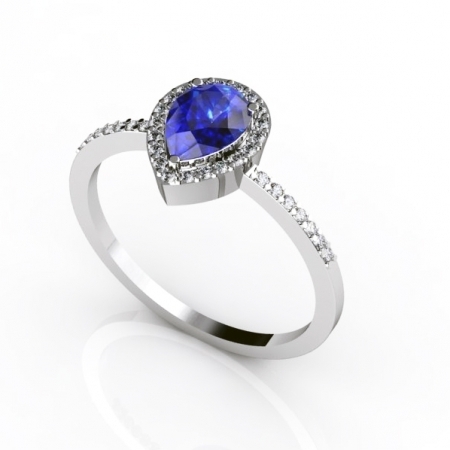 The gemstones are neatly etched on 14k white gold giving it a more elegant appearance. 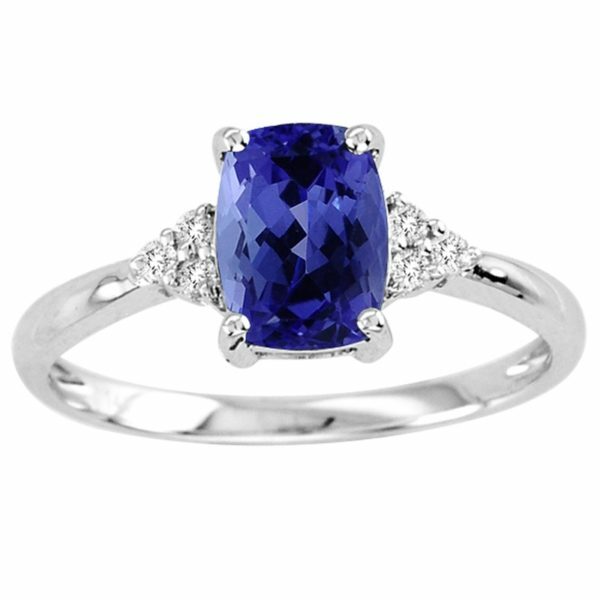 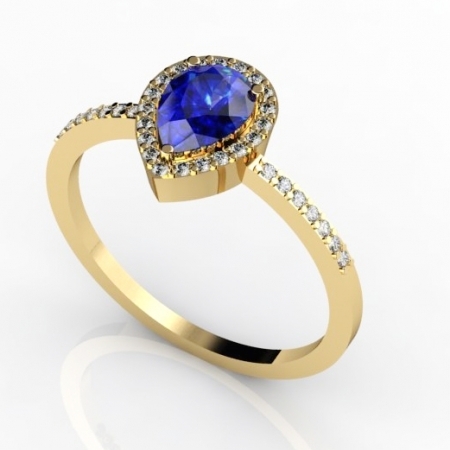 The blue radiance of tanzanite when blended with sparkling diamonds caters an extremely enticing appearance to the spectator.